Enjoy 8% OFF Any Order With Coupon "fashioneveryday"! Let EBIKE do the hard work for you, there's no peddling needed! The foldable eBike ，Modern design is neat and compact. It takes up minimal space and its unisex design means it suits everyone. Constructed with premium carbon fibre the frame is lightweight, yet strong enough to carry a weight of up to 220lbs/ 100kg. Its strength and light weight make it ideal for taking on public transport. Trams, planes, cars and buses for no extra cost. 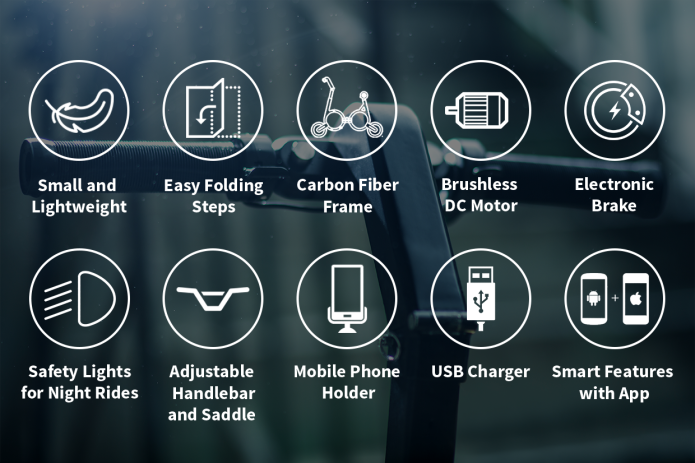 Fold up with easy 5 steps, you can take The foldable eBike with you wherever you go. Ebikes can be heavy, bulky and take up valuable space. At only 19 inches lengthways and able to fold up in five simple steps it can fit easily into a standard sized backpack. Alternatively, you can carry it easily by holding onto the saddle. Cruise through the city at 12mph at up to a 10% slope with The foldable eBike. 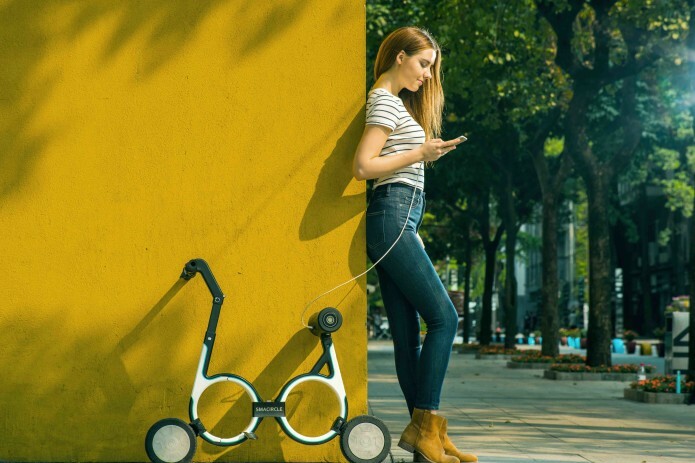 Powered by a 240W motor the The foldable eBike can easily manage uneven sidewalks and ride in raining days because of its waterproofed, so there’s no need to run for the bus, join a busy subway carriage, or pay for parking. The foldable eBike has custom solid damping tires. With advanced wear resistance, there's no need to worry about punctures, or inflating. Smooth tires makes it easy to ride on uneven roads. Compared to regular brakes which stop the vehicle through friction,The foldable eBike has embedded electronic brakes which a more sensitive allowing you to stop faster and more safely. Simply press on the brake button on the handlebars and the motor will stop. Your safety is our first concern. The front light and sidelights beside the saddle ensure that you are visible at night to traffic and pedestrians. Ideal for town and inner city travel the S1’s high quality Samsung battery will ensure an distance of 12 miles before recharging. Simply plug into the wall and charge for 2.5-3 hours and you can get back on the saddle. 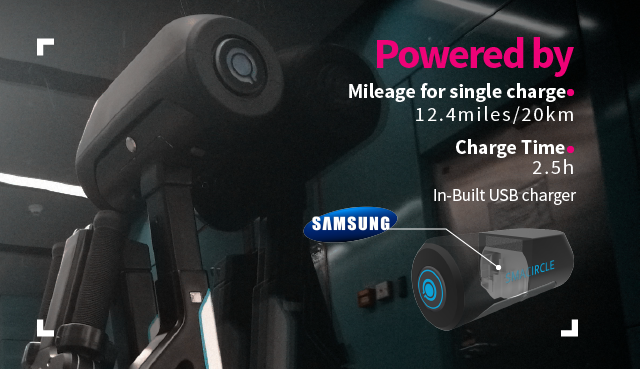 The Samsung lithium battery, its high capacity , compact design and long life, make it perfect forThe foldable eBike. It is suitable in conditions from -4 °F to 122°F. Its charge cycle is 600 times. The special design of the seat keeps the battery protected from overheating even while sitting on the battery. The battery is completely safe as long as you use it within the guidelines of the included instruction manual. With a built-in USB charger you can keep your devices charged up as you ride. No need for a driver's license the The foldable eBike is under 20mph, the threshold speed for street legal. 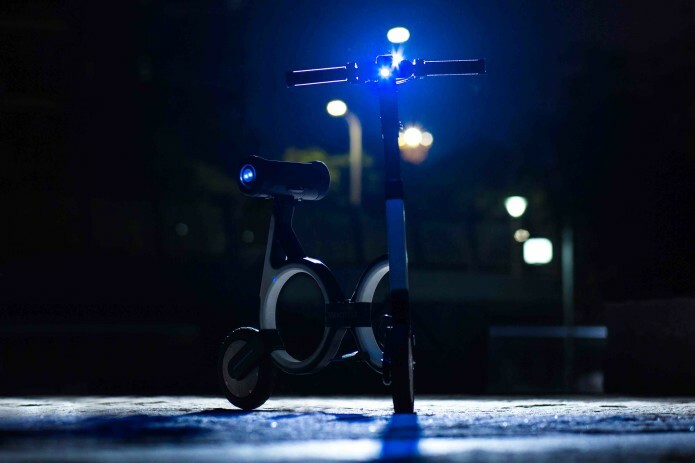 The foldable eBike comes with a dedicated mobile app, which allows users to lock and unlock the eBike, adjust the light, speed and monitor the battery life. 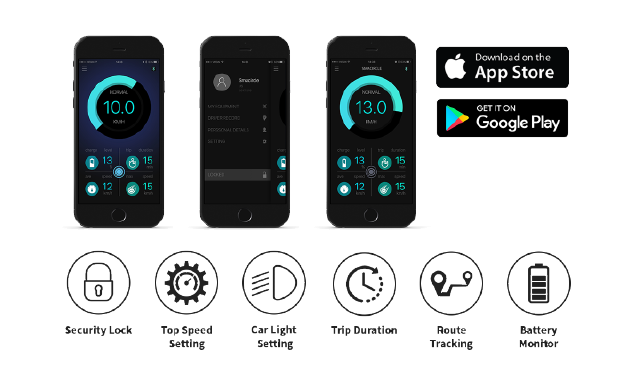 It also monitors your average and max speeds during your trip. 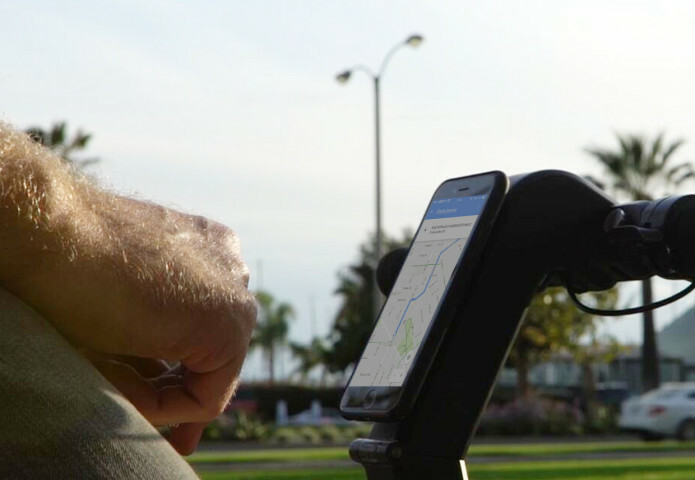 Easily attach your phone to the handlebars to stay in the know.